The Vulkanos Erebus Decanter from Stolzle has been developed by some top talents in the art of glass design, mouth blown and crafted by hand. 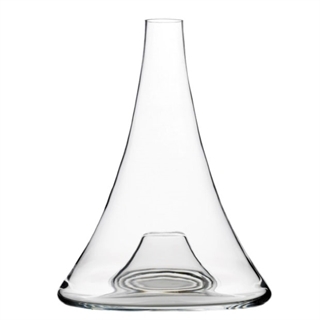 Made from lead-free crystal, this crystal decanter features particularly clear lines and is shaped liked a volcano! A true wine enthusiast will love how uncomplicated and practical it is to use. The clean shape speaks of a high degree of aesthetic understanding, a long, narrow neck and a voluminous body are all convincing attributes. This red wine decanter is the perfect choice for mature wines that have already developed their aromas to the full. Because of the narrow neck, those flavours can't escape and are actually protected by it. 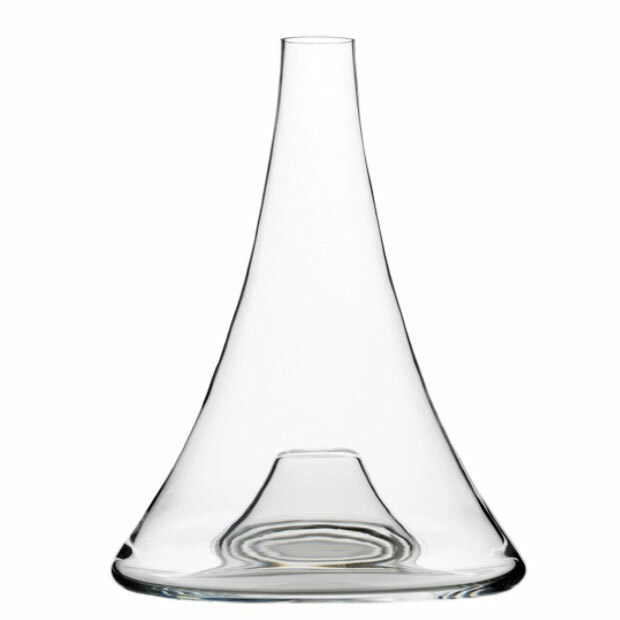 Furthermore, the more delicate often volatile aromas of a white wine are captured to perfection in this wine decanter.